Lady Jane reveals her thoughts on her appearance on “King of Masked Singer” and responds to recent plastic surgery accusations. On the recent broadcast of the MBC singing competition “King of Masked Singer,” Lady Jane joined the show under the alias Archery Girl. 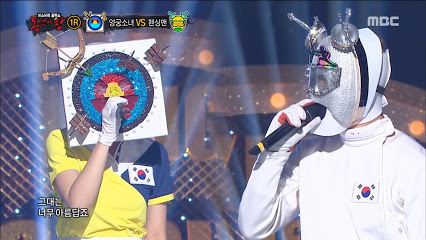 Could the current champion of Mask Singer be f(x)’s Luna?